Pirates lose fourth straight falling to Arizona 11-2. The Pirates begin a west-coast trip with a visit to Dodger Stadium to battle the two-time NL champions. Catch all the action with Greg Brown, Joe Block, Steve Blass, Bob Walk, and John Wehner on Beaver County Radio. First pitch is slated for 10:10. Join Greg Benedetti and Matt Drzik and talk sports of all sorts. Call in at 724-843-1888 and 724-774-1888 to talk about the Pirates, Steelers, High School and more. The Saturday Sports Slam is on Saturday from 8:00 – 10:00 a.m. 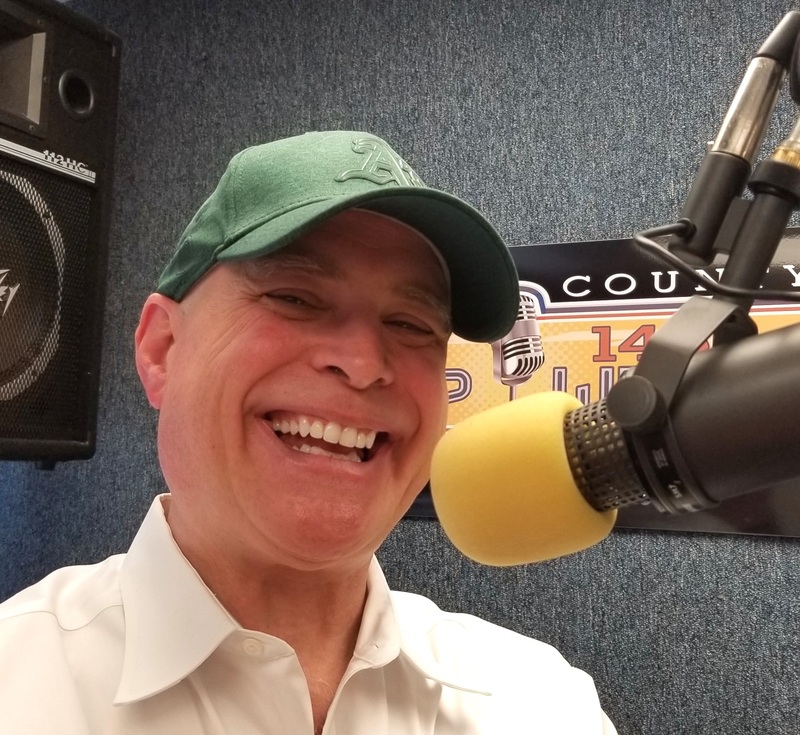 Tune in Saturdays from 10:00 AM to 12:30 PM for “The Eric McKenna Radio Program” With Cowden Creek Realty Realtor Eric McKenna”, sponsored by CALLERIC.COM. Host and Real Estate Expert, Eric McKenna discusses important real estate issues that can help you make more money, sell your home faster, avoid problems, and have the best possible experience when buying or selling real estate. Call 724-843-1888 or 724-774-1888 to join the show. E-mail Eric at sold@calleric.com. The show can also be viewed each week on Facebook live by visiting Eric’s Facebook page. The Pirates begin a west-coast trip with a visit to Dodger Stadium to battle the two-time NL champions. Catch all the action with Greg Brown, Joe Block, Steve Blass, Bob Walk, and John Wehner on Beaver County Radio. First pitch is slated for 9:10. Tune in to 1230 WBVP or 1460 WMBA to hear Sounds of Faith every Sunday from 7:00 AM to 9:00 AM. 1230 WBVP and 1460 WMBA broadcasts live Mass from the St. Monica Parish in Chippewa every Sunday from 9:00 AM to 10:00 AM. The Pirates begin a west-coast trip with a visit to Dodger Stadium to battle the two-time NL champions. Catch all the action with Greg Brown, Joe Block, Steve Blass, Bob Walk, and John Wehner on Beaver County Radio. First pitch is slated for 4:10. Angela Gentile, the head of the Beaver County Office On Aging, joins Matt Drzik on A.M. Beaver County after the 8:30 news on May 1 to discuss the upcoming Senior Day at The [Beaver Valley] Mall on May 8. Dee Dixon, who is running for County Recorder of Deeds, joins Frank Sparks on Teleforum following the 10 AM news on May 1. Tune in to Teleforum on Thursday from 9:10 A.M. to 10:00 A.M. for the monthly edition of “Ask The Commissioners” . Commissioners Sandie Egley, Tony Amadio and Dan Camp will join show host Frank Sparks in the Beaver County Radio Studios for a “town hall” style meeting on the air. To participate, call 724-843-1888, or 724-774-1888, or watch and comment on the live Facebook video stream on the WBVP-WMBA Facebook page. “Ask the Commissioners” is presented in part by Beaver Valley Auto Mall, located near the Beaver Valley Mall in Center Township. “Ask The Commissioners” airs the first Thursday of every month on WBVP, WMBA and Facebook live. 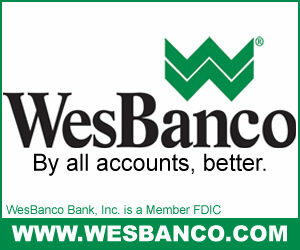 this and every Thursday from 11 to 11:30 A.M. for “The Best of Beaver County” on WBVP and WMBA presented by St. Barnabas. 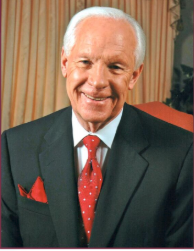 The show is hosted by former Allegheny County Chief Executive, Jim Roddey, and is dedicated to shining light on the great things going on right here in your neighborhood, and the people that are making it happen. 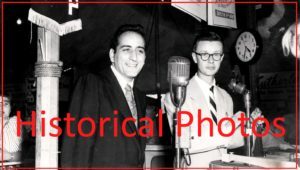 (Beaver County, PA) Join Frank Sparks and Scott Tady, Entertainment Editor for the Beaver County Times, this and every Thursday for “Notes On Local Entertainment” from 11:30 to noon on Beaver County Radio, 1230 WBVP and 1460 WMBA. It’s the show dedicated to promoting the local music and entertainment scene in Beaver County. This week Frank and Scott will be live in studio and will be talking about all the Happenings around Beaver County and the surrounding area. They’ll get you set up for a busy weekend around town. Notes on Local Entertainment is brought to you each week by Wooley Bully’s in New Brighton. The Lincoln Park Performing Arts Center will be hosting “An Evening Of Pathological Conversation with Dr. Cyril Wecht” on Saturday, May 11. The famed forensic expert will join Matt Drzik on Monday, May 6, to share his insights on famous murder cases and give a preview of his Lincoln Park show. Ashley Trautman, who is running for County Prothonotary, joins Frank Sparks on Teleforum following the 11:00 AM news. Join Frank Sparks out at the Annual Spring Senior Day At The Mall on May 8! He’ll be out there from 10-12 with the prize wheel, and he’ll be talking to many different vendors and volunteers from the County who help out with senior life. Don’t miss it! If you have any legal questions or want to learn some legal advice, tune into WBVP and WMBA on the 2nd Friday of each month to hear from the attorneys from Luxenburg, Garbett, Kelly, and George! The men will join Frank Sparks during the 9:00 hour of Teleforum following the 9:05 news. 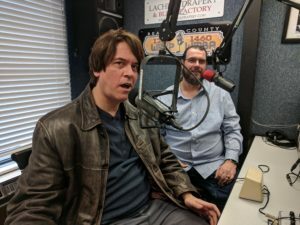 If you have any questions for LGKG, call in at 843-1888 or 774-1888 (area code 724) and get your advice from the attorneys on Beaver County Radio! Jodi Hill, who is running for County Prothonotary, joins Frank Sparks on Teleforum following the 10 AM news on May 13. Wayne Kress, who is running for Beaver County Sheriff, joins Frank Sparks on Teleforum after the 11:00 news on May 13. Dr. Pete Birchler from the Chiropractic Health Center in Chippewa joins Matt Drzik on A.M. Beaver County for another edition of “People Purpose Planet”, Dr. Birchler’s spotlight on local non-profit organizations that are making a difference. Tune in following the 8:30 news on Beaver County Radio. Sherri Blum Ziballa, who is running for Beaver County Prothonotary, joins Frank Sparks on Teleforum after the 10:00 news on May 14. Join Dale Reckless from MRS Physical Therapy for the first hour of Teleforum on the third Wednesday of each month from 9:10 – 10:00 a.m. The interview can also be viewed on Facebook Live on the Beaver County Radio FB page. Join PJ Latsko and Frank Sparks down at Beaver County Auto’s Nissan Dealership on Constitution Boulevard in Chippewa for “Senior Day at The Dealership”! Seniors can enjoy complimentary coffee and a shot at the Personality Prize Wheel! Join Beaver County Radio from 10:00 until noon for the festivities! Do you want to get your hands on some treasure? 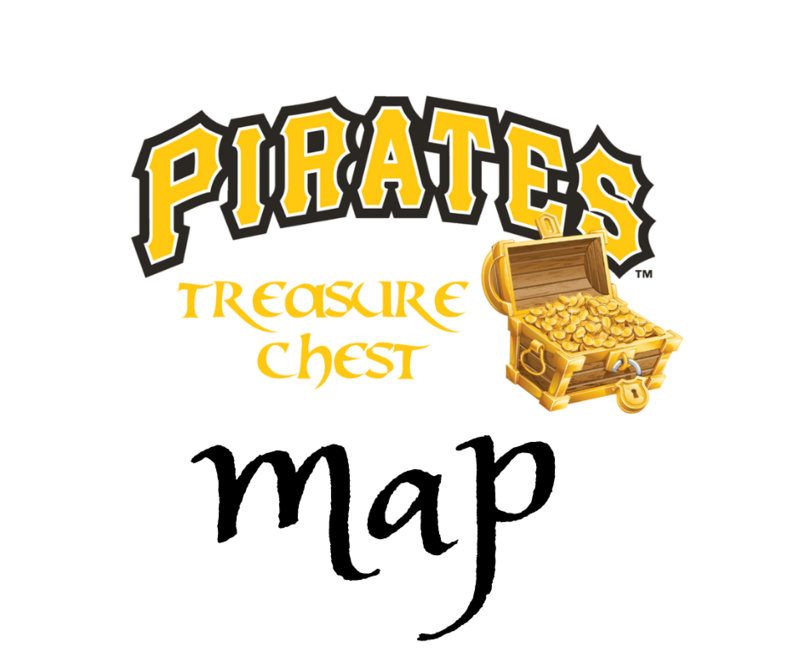 Join Frank Sparks down at Abbey Carpet & Floor located off the Center exit on I-376 on May 18 from Noon until 2, as he will bring along the Pirates Treasure chest AND the Personality Prize Wheel! Get your hands on some great prizes courtesy of Beaver County Radio! George David, who is running for Beaver County Sheriff, joins Frank Sparks on Teleforum after the 10:00 news on May 20. Are you worried about your money? Do you need that little bit of help to get you to financial stability? Well, Beaver County Radio may be able to give you a boost. Join Tom Young from 1st Consultants in Beaver, as he offers his perspectives and shares experienced advice in helping you plan your finances better and get out of debt. Tom will join Frank Sparks on the 3rd Tuesday of every month in the 9:00 hour of Teleforum. You can tune in to WBVP and WMBA and listen live, or you can follow our Facebook Live feed on our Facebook page. The phone lines will be open for advice at (724) 843-1888 and (724) 774-1888.